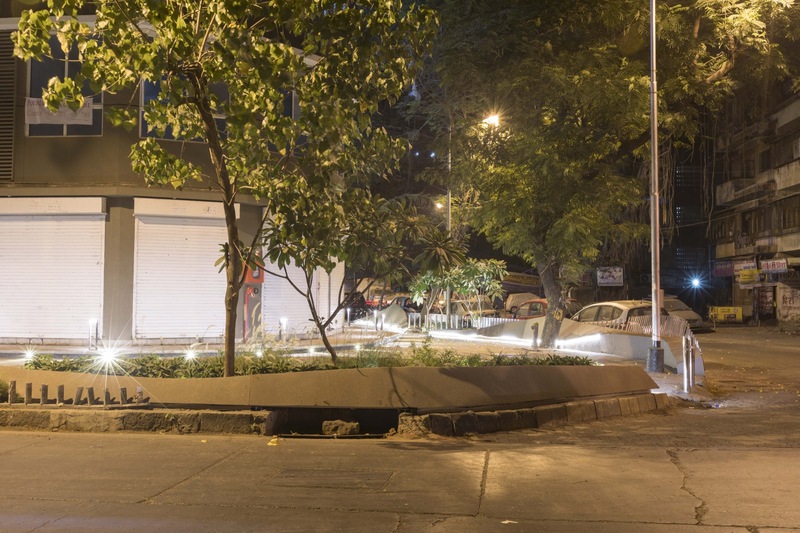 Sugee Sadan – Urban Intervention at Prabhadevi, Mumbai, by Studio Emergence - ArchitectureLive! With BMC Permissions and the project has been financed by Sugee Developers. 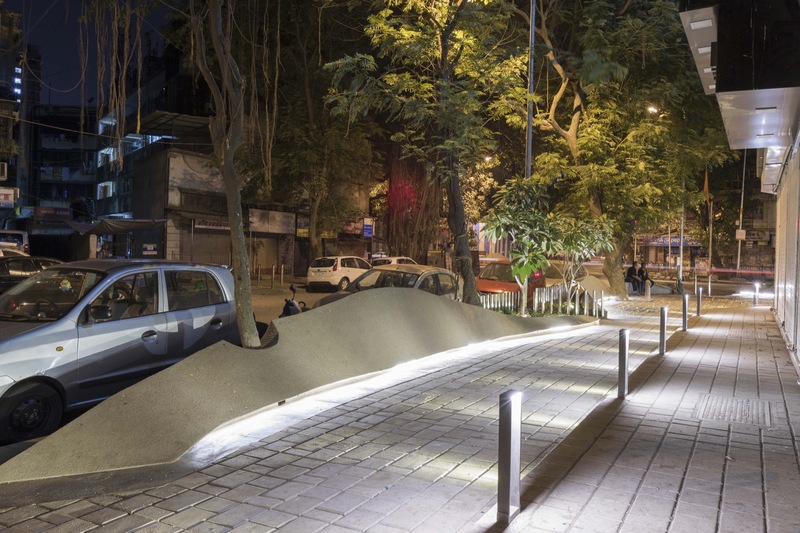 The Urban Intervention by Studio Emergence was implemented to revamp the junction of Gokhale Road from where the maximum vehicles travel towards Worli. 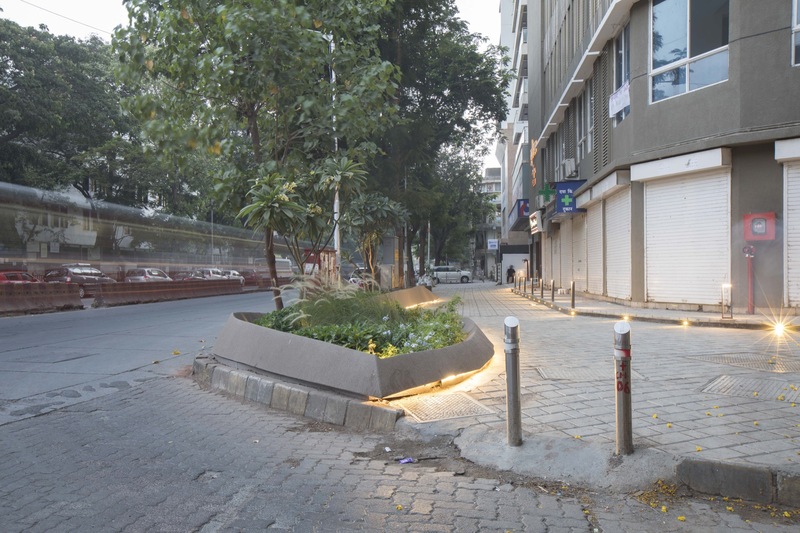 This is a widely used junction and though the footpath here is around 5 Metres wide it is usually used to park 2 wheelers and hawkers thus reducing the usable space considerably. 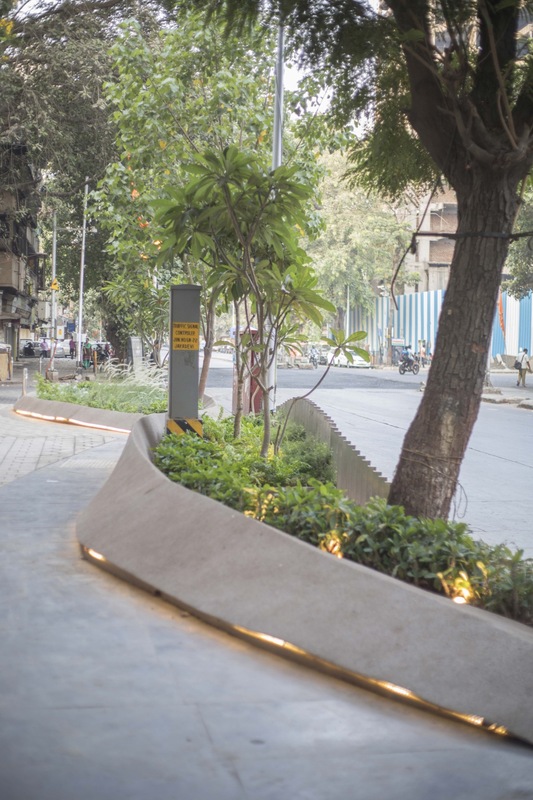 The first conscious decision we made was to retain a 3.5 to 4 meter wide pathway at every point and use the rest of the space as a buffer between the oncoming heavy traffic and pollution and the people using these streets for commute everyday. 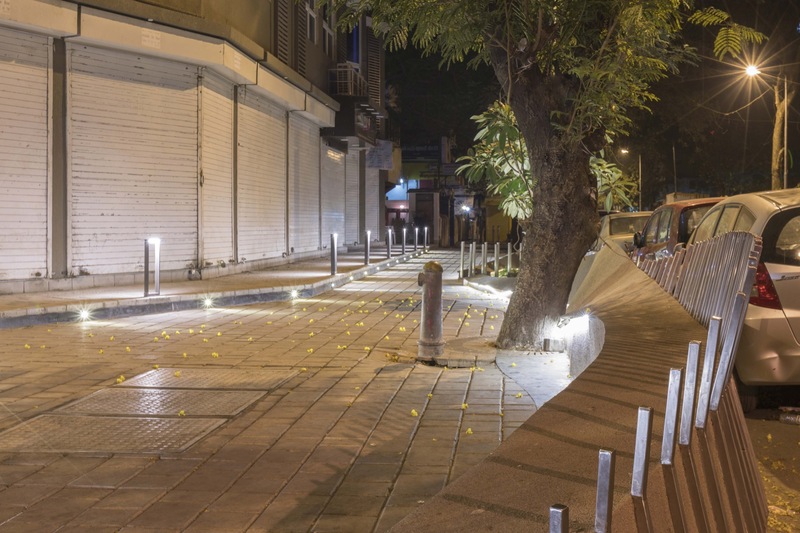 We also studied the demographics of the users and the housing typology around the pavement. 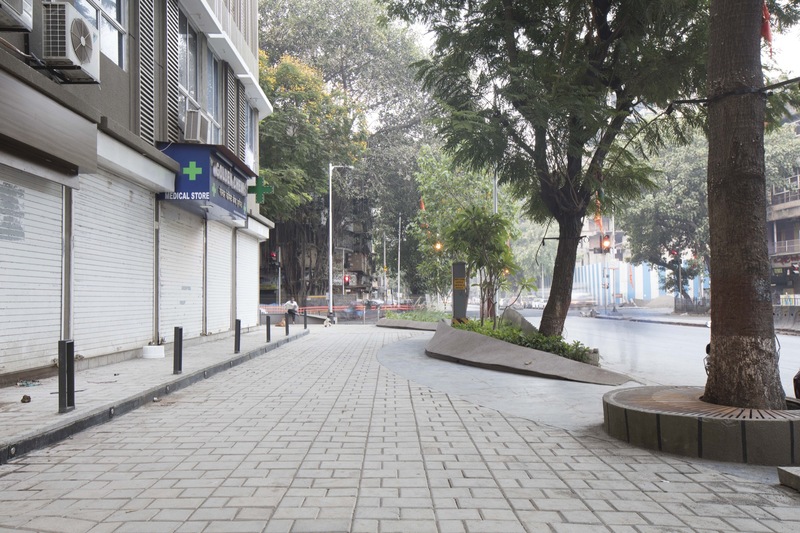 The area largely comprises of Residential Buildings, Schools and community spaces likes parks and temples. 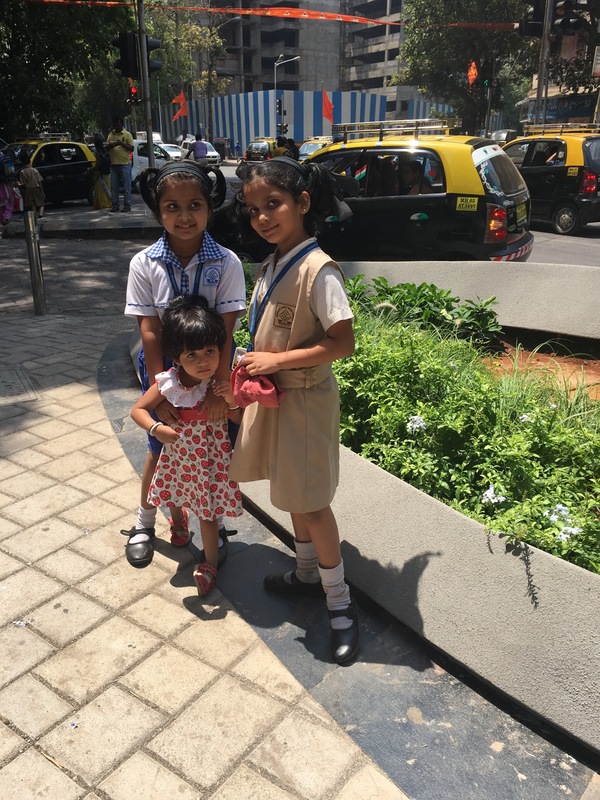 Thus the intersection is widely used by people who commute daily to work and kids who use the street everyday to go to their schools and parks. It is also a space for community gathering for elderly people. The design strategy was to incorporate all these parameters and use this data to govern the basic massing of the intervention. 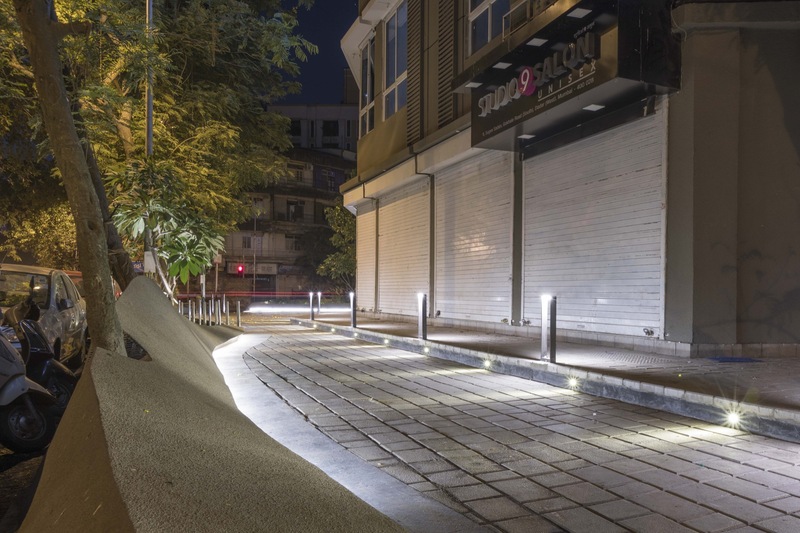 The intervention primarily was divided into two areas, softscapes and hardscapes. 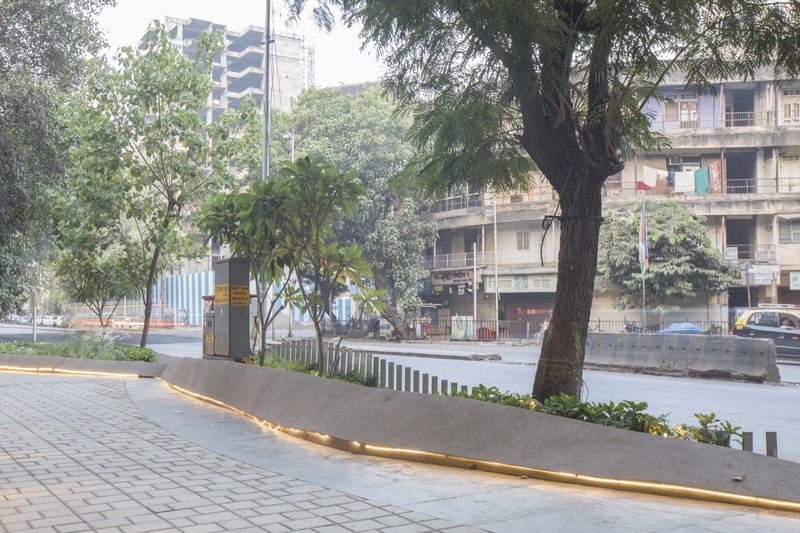 The built structure for the plantation was restricted to the edges so as to ensure smooth usage of the pavement even during rush hours and to create an illusion of flowing forms, the flooring itself was divided into different segments with the use of different materials. The organic shape of the structure was achieved by making an intricate framework of MS pipes which were later clad with Mild steel sheets and welded in place. 180 nos of Sectional profiles were used in total which were all placed 2 feet apart to achieve the form. This process was much faster compared to using brick work and Cement and was easily possible with digital fabrication techniques in place. 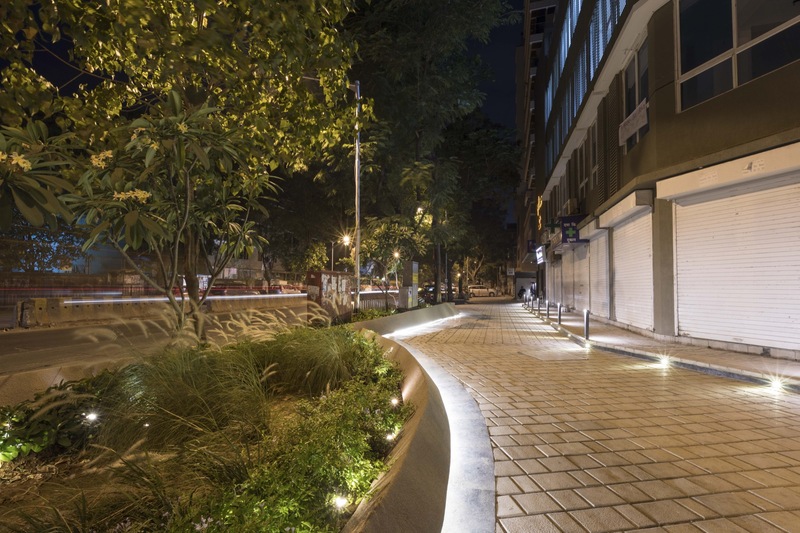 The form changes drastically as one walks along the L shape pavement. 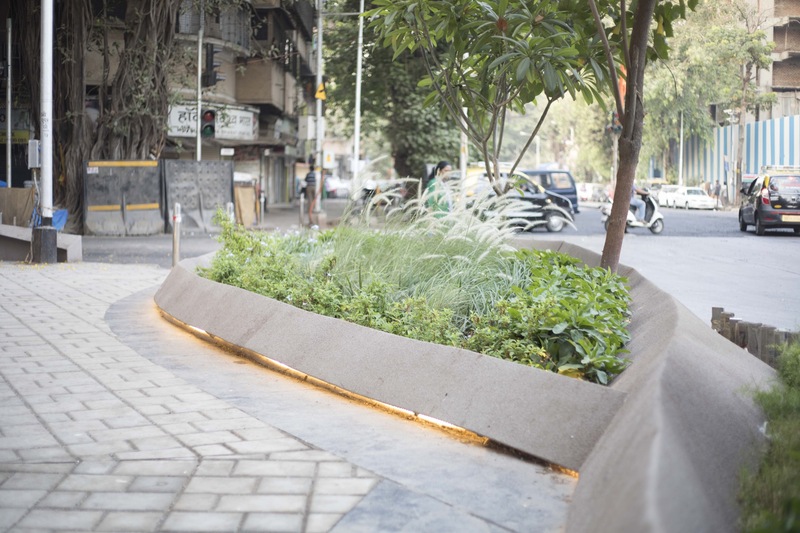 It acts as a divider between the pavement and the plants at one point and seamlessly transforms itself into a seat in another. It also houses some services at one point wherein the existing Municipality drains were located. The seating space also has storage for the local newspaper vendor. 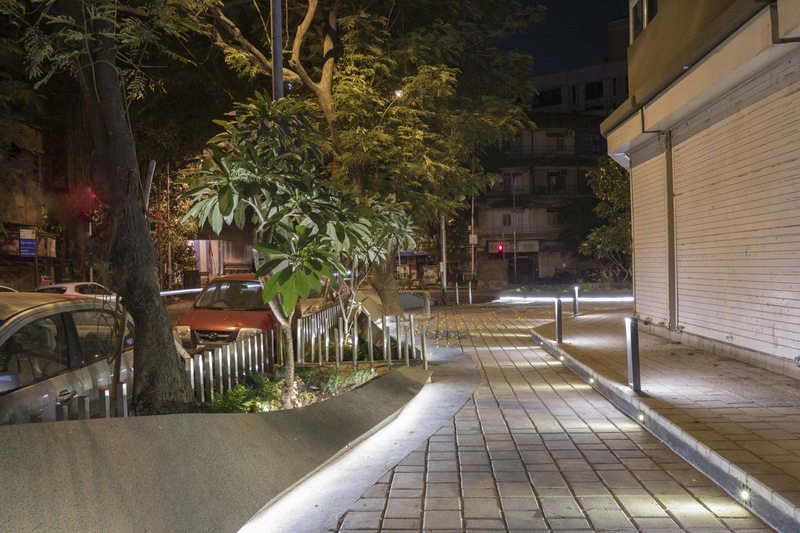 This multifunctional intervention was designed using sectional anthropomorphic data and the form was an outcome of all the requirements. 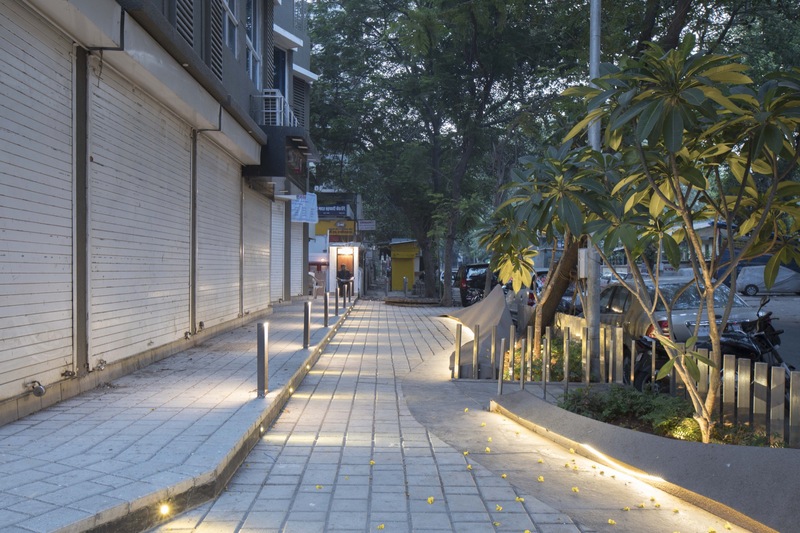 Since the footpath is located at a major traffic junction we had to accommodate a lot of services and electrical points for MCGM. All the points were maintained and we also replaced the man holes with new FRP ones for longer and sturdy use and reliability. 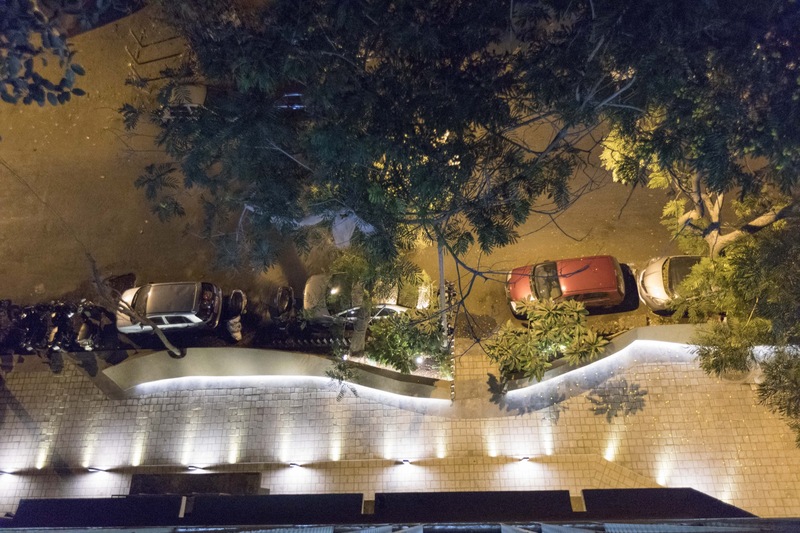 The massing design was completely as per the location and placement of these services. The parts where we could cover some of these units were designed specifically such that it can be easily opened and serviced. 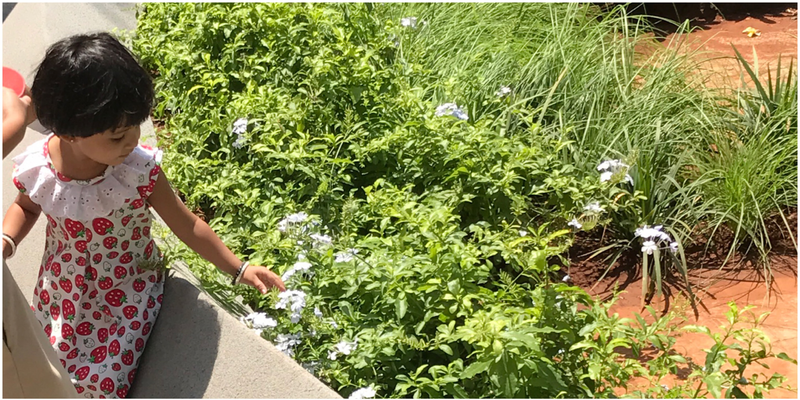 For example, a drain system that needed to be integrated is design such that a part of the unit is attached on hinges which can open up for servicing. All trees around the site were maintained and given new gratings of Corton Steel to complement the surroundings.